Couple the breadth and depth of theater on the New York City stage with discounts that may be easily had through programs such as TDF, Theatermania Gold Club, and promo codes and there aren't many reasons to venture outside of the city just to go to the theater. However, two plays by young black female playwrights seem like they just be worth doing so. The first is Danai Gurira's The Convert playing at the McCarter Theatre at Princeton University in New Jersey through this weekend. The second is Christina Anderson's Good Goods playing at the Yale Repertory Theatre in New Haven Connecticut through Feb 25th. Born in Iowa but raised mostly in Zimbabwe until the age of 19, Dania Gurira (also an actress) deals with British colonialism, religion, and war in The Convert. The play received a very good review from Charles Isherwood in the New York Times. The McCarter Center website describes it as "fiery, transformative, arresting." Here is a clip, narrated by the playwright. 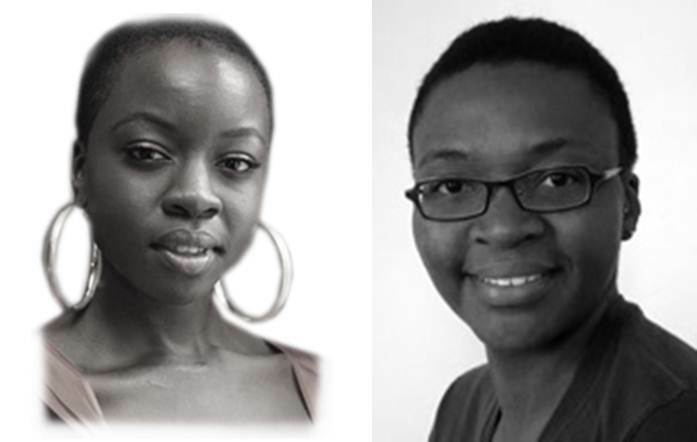 Dania Gurira also wrote the play Eclipsed and co-wrote the play In the Continuum. Born in Kansas and writing plays since she was 15 years old, Christina Anderson deals with four lost souls who unite in a general goods store in a small fictitious Black town not on any map in Good Goods. I've read two reviews of the play. One described it as "intriguing but disjointed" and the other as "elusive yet effective". Sounds like those who are into complex story telling will like this one. Here is a clip. Christina Anderson also wrote the play Inked Baby (Off Broadway debut) among others.